Want to do festival fashion in style? Then steer clear of the plastic flower crowns, the fringed waistcoats and the denim cut offs and try something all together less contrived. Practical and stylish don’t often go in the same sentence, but this Open Back Playsuit by Pam & Gela really does fit the bill. The abstract print and bold colour is a much-needed update on traditional festival looks. As we’re in England and not LA, it’s probably going to rain at a few of this summer’s festivals. One way to ensure you really don’t mind a bit of a downpour is to discard that plain black mac and invest in something a little more on-trend. 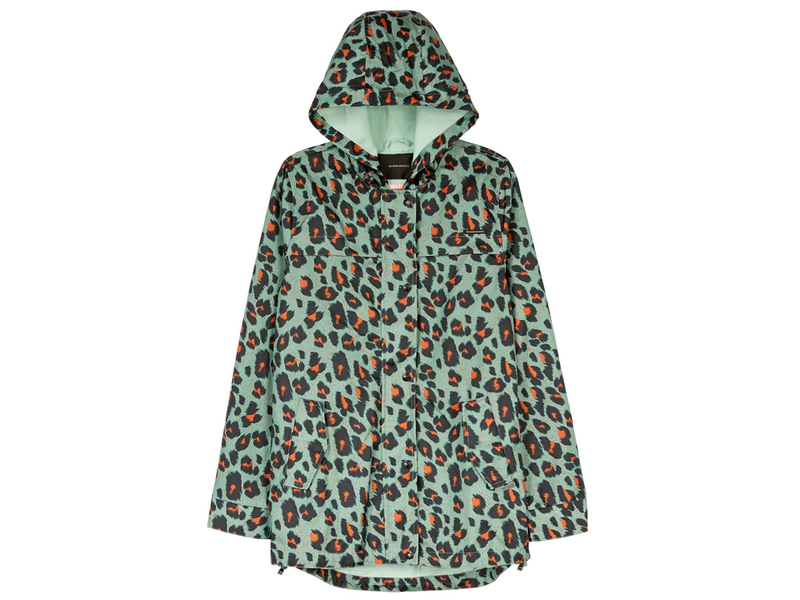 This Leopard print jacket by Maison Scotch is practically perfect for making sure you don’t compromise your new festival style, whatever the weather. If the rain does hold off, then make sure you break out some versatile snake print in the form of these Vicky Lace-up Trainers by Ash. Totally versatile and completely stylish, this is the grown-up way to do festival footwear this summer.